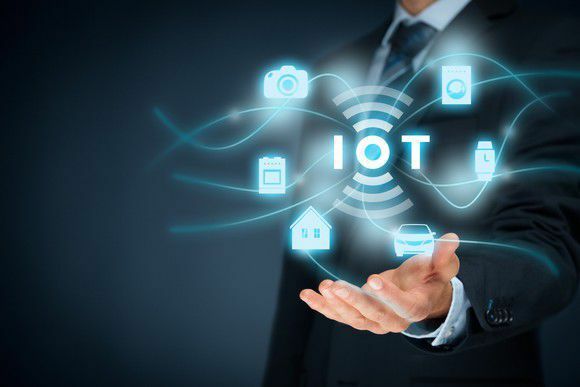 The Internet of Things (IoT), which connects various devices to each other and the cloud, is widely considered to be the next big growth market for tech companies. That’s why companies like Intel (NASDAQ: INTC) and Cisco (NASDAQ: CSCO) launched dedicated IoT units, and the market seems flooded with new wearables, smart home devices, and other connected gadgets. To gain a better understanding of the IoT market, let’s take a look at 10 crucial facts and figures. BI Intelligence estimates that 24 billion IoT devices will be installed by 2020. It expects that total to be split between three entities — businesses (11.2 billion devices), governments (7.7 billion devices), and consumers (5 billion devices). That forecast is much lower than Cisco’s widely cited estimate of 50 billion devices by 2020, which is made in 2011. But it’s still more bullish than ABI Research’s target of 21 billion devices by 2022. In 2015, General Electric (NYSE: GE) claimed that investments in the Industrial IoT (IIoT) market, which includes all IoT devices used for industrial purposes, would hit $60 trillion over the next 15 years. GE is linking these connected devices to its Predix Cloud, a cloud platform that analyzes data to boost a company’s overall productivity. IDC estimates that 60% of global manufacturers are already using data accumulated from connected products and production chains to optimize their product portfolios. The firm believes that by next year, the proliferation of these analytics-driven solutions will improve manufacturers’ innovation delivery and supply chain performance by 15%.